It is my extreme pleasure to write this letter of recommendation for Jeff and Tammy Powell. 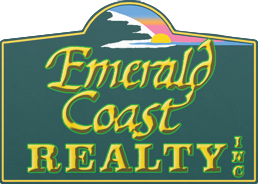 I firmly believe they are the best real estate brokers on the Oregon Coast! 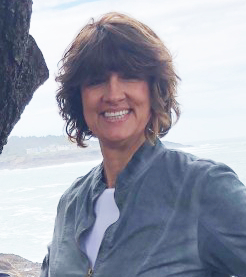 My wife and I had owned a condo in Lincoln City, OR for a number of years and began the search for a home that we could share with our family and children. We contacted Jeff one Sunday afternoon when we saw a house that had their sign in the front yard. It was a rainy stormy day, and close to the close of business…not to mention it was late afternoon Sunday and the home was in North Newport. Jeff told us no problem, he would be there and drove down and met us. That fortuitous meeting led to a almost year long search, a couple of offers, and eventually the home we purchased that we truly love and are sure we will be sharing memories with our family for years to come in. Jeff and Tammy brought us consistent new updates on properties that were becoming available, even going and looking at them and sending pictures as well as thoughts on possibilities and or concerns if we were out of town. On a few occasions Jeff even crawled under some homes with me to look at systems or structural issues. To say we were picky was somewhat of an understatement (we had a definite idea of what we wanted), but to say Jeff and Tammy were patient could not be stated strongly enough. Through the entire process and search, we formed a trusting relationship with the two of them…even joking sometimes that “Jeff must cringe when he sees our number.” But it was that understanding that eventually led to the home we purchased. After viewing one property Jeff brought out a couple fliers and said he had found something but it was a little different than we had been looking for. We were very hesitant, but agreed to go take a look. He had brought two fliers…the first one he showed us of the two was the house we bought. By working with us, but moreover “listening” to us he had gotten to know us, and that knowledge led us to a place we fondly refer to as Home. We needed extensive renovations on our property and Jeff even helped us by introducing us to some contractors to assist. Working through the process and paperwork with Jeff and Tammy was fantastic. They were helpful, careful and thorough as we worked through everything with our lender. Being a business owner myself I am keenly aware of the importance of the people you work with and the suppliers/vendors you choose to do business with. It is my firm opinion that you could do no better than choosing to work with Jeff and Tammy. They are truly fantastic and help made a giant dream of ours come true! Thanks Jeff and Tammy! We greatly recommend Jeff and Tammy Powell. We think they practically "walk on water"! Jeff helped us get the house in Lincoln City we wanted. He was wonderful to work with. His low keyed, non-pushy, hardworking, square shooting attitude is great! Jeff guided us through a short sale that took awhile but he persisted, kept us updated, and finally closed the deal. We could not have done it without him. We probably would have just given up. We lived in Iowa at the time so our phones and Internet stayed quite busy as he kept in touch. Jeff went beyond the "call of duty" checking things out for us, even measuring areas to see if certain pieces of our furniture would fit if we brought them, checking out the house periodically to make sure all was well until we could get moved out. The excellent service did not stop at the closing. He and Tammy have been invaluable in directing us to persons or businesses that were dependable for the work we needed done. With their great smiles, warm friendly personalities, professionalism, they are an asset to the community. They started out as Realtors but we now call them friends. Buying a house is one the most intimidating things I have ever set my sights on. I am difficult to please, I have high expectations and prefer to spend as little money as possible. Consequently, I never thought I could find a real estate agent that would make me happy. After interacting with several agents over the five years it took me to get the house of my dreams, I would recommend Tammy Powell to any of my friends or family. Tammy worked tirelessly to investigate, call experts, get information from local and government agencies to assist me in making the most informed decision possible. You see, I don’t have cookie cutter tastes, I like things a little quirky, a bit edgy. My dream has always been to live near the water, a lake or on a river. Tammy was fantastic about keeping me well informed as to what I was getting into. During the escrow process, Tammy spent hours with contractors and experts working to get me the best price possible. I am a single female and have always been intimidated by much of corporate America because they seem to dehumanize individuals. Tammy kept everything on a very human level, consequently my world has gotten smaller and less intimidating. I could not be happier.